Palli Sanchay Bank Seat Plan 2018. পল্লী সঞ্চয় ব্যাংক নিয়োগ ২০১৮. Palli Sanchay Bank Admit Card download. Ekti Bari Ekti Khamar Job Exam Date 2018. 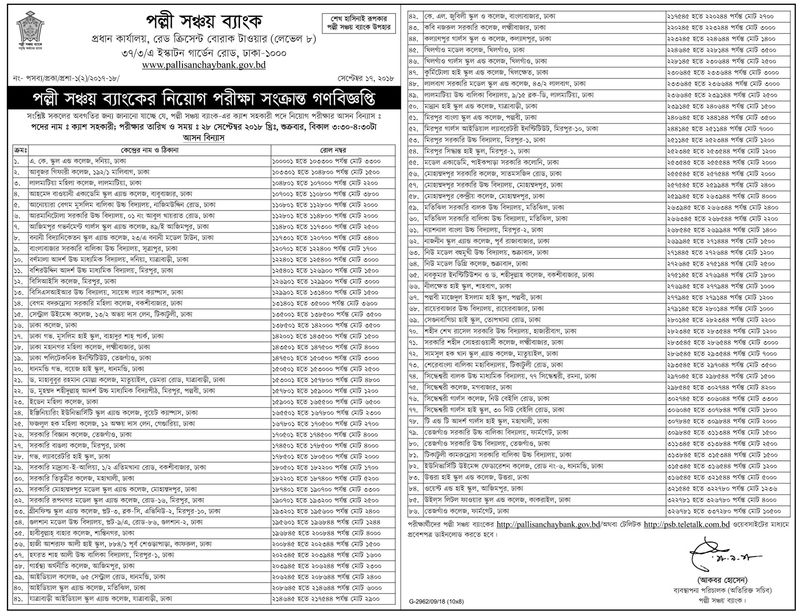 Palli Sanchay Bank exam date September 28, 2018. Akti Bari Akti Khamar admit card available online. Written exam date, VIVA schedule will send by mobile sms. 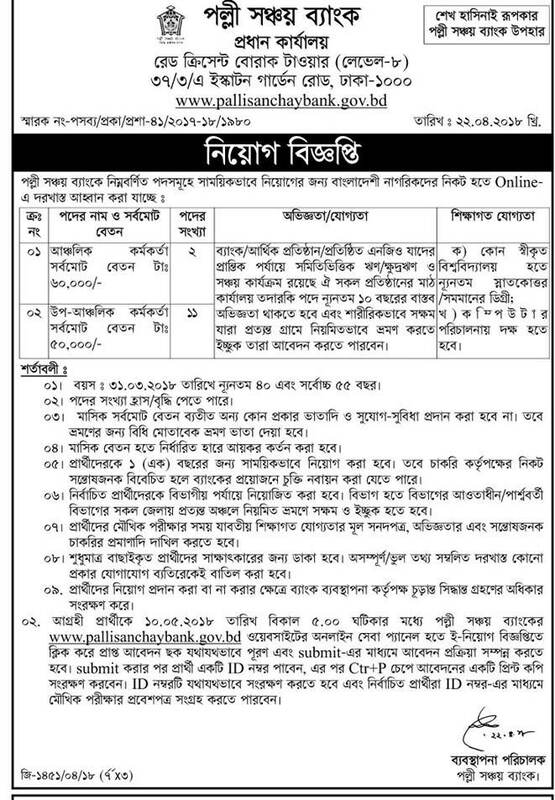 MCQ exam seat plan will publish news paper. EBEK online application date has passed. EBEK project will marge with Palli Sanchay Bank after completed project period. Field Assistant, Night Guard exam date, viva schedule will publish later. Ektee Bari Ektee Khamar Job application last date March 29, 2018. Now demand drafts are checking online. DD checking will be completed upozila wise. All thana units has to completed checking process within February 18, 2016. Seperated DD from application have to send Zila Office within February 22, 2016.